Thousands of passengers travelling from or to Malta were stranded with some flights delayed for hours when the airport was closed following the air crash early this morning. Passengers whose flight was delayed or cancelled are entitled to meals and refreshments commensurate to the waiting time and to two telephone calls, or e-mails free of charge, the Malta Competition and Consumer Affairs Authority said. In the event that the flight is announced as cancelled, or is expected to be delayed for five hours or more, passengers are also entitled to either cancel their trip and claim full reimbursement of the flight ticket, or to re-book a later date of their choice subject to seat availability. Passengers were urged to contact their airline for further information, and to access the MIA website and social media channels that are being updated with the latest developments. 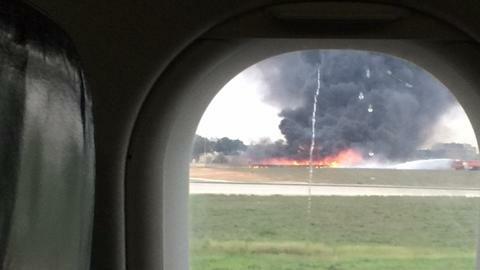 The airport was closed for four hours and reopened at noon. 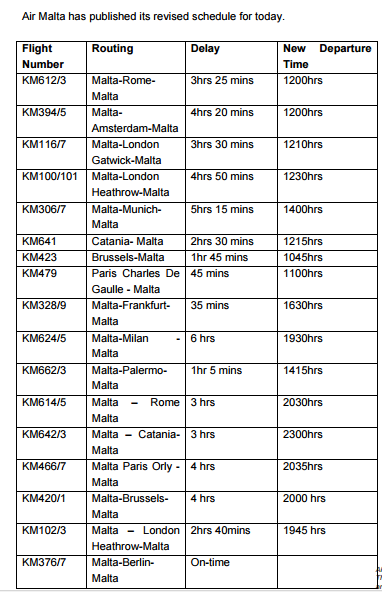 Air Malta this afternoon issued its revised schedule below.